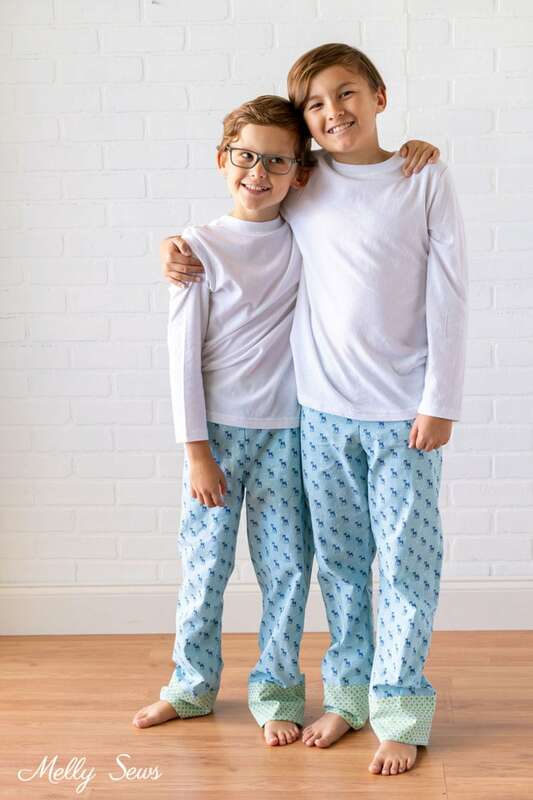 As tomorrow is Christmas, I thought it was the perfect time to share the pajamas I made for the boys and their cousins this year. The cousin photo shoot has become a family holiday tradition that my parents, siblings and I have grown to love. Here are more photos from our shoot. I think my favorite is the one where my littlest nephew, who is the smiliest baby ever, escaped our set practicing his crawling. Smiling the whole way of course. 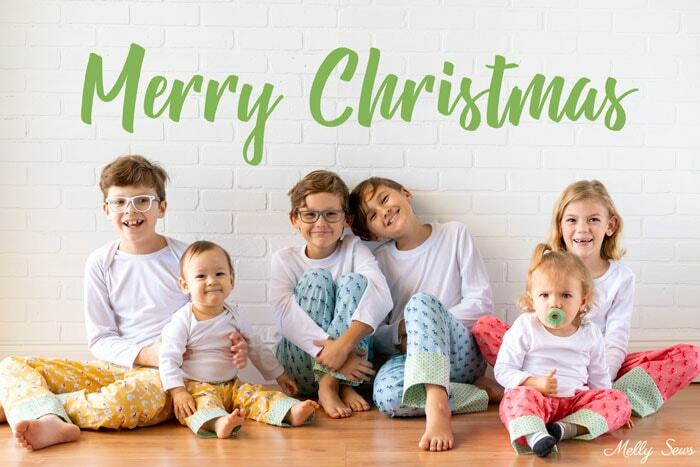 From our family to yours, I hope you have a Merry Christmas if you celebrate, and happy holidays if you celebrate a different holiday than Christmas. Awh, so cute!!! Merry Christmas!!! Thanks for giving us through another sewing year!!! Super cute!!! I love the cousin picture concept. 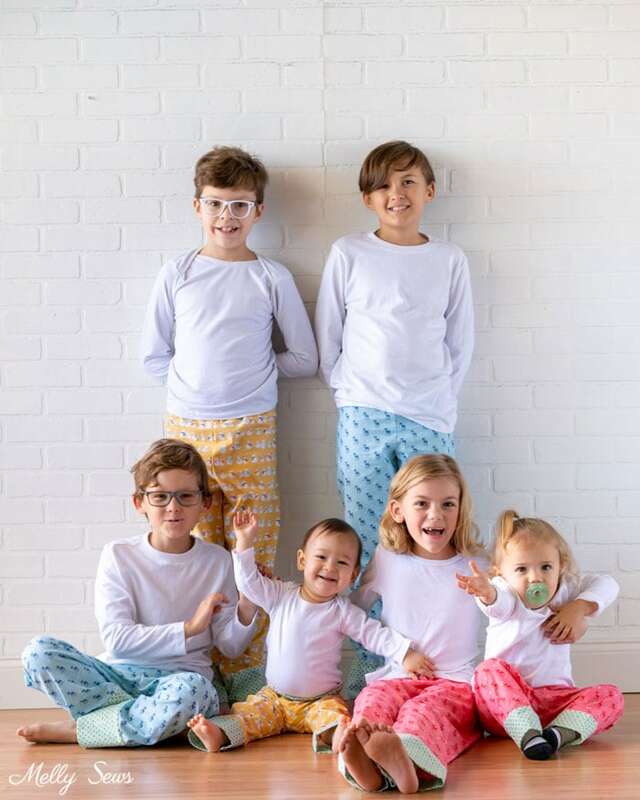 They are all so adorable in their PJs.